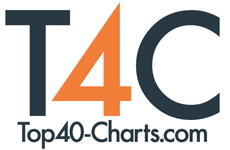 New York, NY (Top40 Charts) The All-National Honor Ensembles consist of a concert band, symphony orchestra, mixed choir, jazz ensemble, guitar ensemble, and modern band ensemble, the newest ensemble for ANHE 2019. This year, six award-winning conductors will lead the National Association for Music Education's (NAfME) premier All-National Honor Ensembles (ANHE) in Orlando, Florida. NAfME is pleased to announce the addition of a Modern Band ensemble to the ANHE program, and the Guitar Ensemble returns for its second year. The nation's most elite high school musicians will vie for the opportunity to rehearse and perform in a one-of-a-kind national music honors program. The students must first compete at their local, district, and state level to become eligible for this distinguished honor. On November 7-10, these exceptional musicians will gather at Gaylord Palms Resort & Convention Center in Orlando, to showcase their expert musicianship and perform a gala concert celebrating music education and the arts. The All-National Honor Ensembles consist of a concert band, symphony orchestra, mixed choir, jazz ensemble, guitar ensemble, and modern band ensemble, the newest ensemble for ANHE 2019. The concert band and symphony orchestra will each have approximately 120 instrumentalists, the jazz ensemble 20 instrumentalists, the mixed choir approximately 240 vocalists, the guitar ensemble 60 guitarists, and the modern band ensemble 20 musicians. Eligible students have qualified for their state-level honor ensemble program and competed against top students for a spot in these national honor ensembles. As many states do not have an All-State Guitar Ensemble, students who participate in their school's guitar ensemble program are permitted to apply for the All-National Guitar Ensemble. Similarly, as many schools do not have modern band ensembles, students are permitted to apply for All-National Modern Band if they are sponsored by a NAfME member. The audition deadline is May 3, 2019, at 11:59 PM Eastern daylight time. Ensemble members will perform under the baton of six of the most prominent conductors in the United States. Emily Threinen, Associate Professor of Music and Director of Bands at the University of Minnesota School of Music in Minneapolis, will lead the 2019 All-National Concert Band. Ms. Threinen conducts the acclaimed University of Minnesota Wind Ensemble, guides the graduate wind band conducting program, and provides administrative leadership for all aspects of the University of Minnesota Bands. Prior to her appointment at Minnesota, Threinen served as Associate Professor, Director of Bands, and Artistic Director of Winds and Brass at Temple University's Boyer College of Music and Dance in Philadelphia, Pennsylvania. Before her work in Philadelphia, Threinen served as Assistant Professor, Director of Bands at Shenandoah Conservatory of Shenandoah University in Winchester, Virginia; Director of the Duke University Wind Symphony in Durham, North Carolina; Director of the Concordia University Wind Ensemble in Ann Arbor, Michigan; Conductor of the Dodworth Saxhorn Band in Ann Arbor, Michigan; and Director of Bands and Instrumental Music at Harding High School in St. Paul, Minnesota, where she received the Outstanding Teacher Award. Threinen consistently works with composers, arrangers, and performing artists of varied disciplines. Residencies and projects with composers and new compositions are integral to her creative work. She is active, across the nation and abroad, as a guest conductor, clinician, and conference presenter. Read more about Emily Threinen. Director of Orchestral Activities at The Baldwin Wallace Conservatory of Music Soo Han will lead the 2019 All-National Symphony Orchestra. Mr. Han is a member of the Board of Directors of the Midwest International Band and Orchestra Clinic, a contributing editor for Hal Leonard's Essential Elements for Strings, a D'Addario Orchestral Strings Artist, a Conn-Selmer Educational Clinician, and the former Director of Orchestras & Department Chair of the William H. Duke Center for the Performing Arts at Carmel High in Carmel, Indiana. As an active conductor, he has appeared with Carmel Symphony Orchestra, Cave Run Symphony Orchestra, Michigan State Opera Theatre, Michigan State Symphony Orchestra, Valparaiso University, and Butler University Symphony Orchestra. He is an active conductor for All-State, regional, and honor orchestras appearing in over 30 states and has conducted internationally in Austria, China, Thailand, and Australia. He has presented workshops and clinics internationally and for nearly every major national and state music conference including, Australian String Teacher Conference, Maryborough National Australia Conference, Midwest Clinic, ASTA National Conference, NAfME National Conference, and Ohio University Summer String Teacher Workshop. As a passionate supporter of public school music programs, he continues to remain active in instrumental classrooms throughout the country. Read more about Soo Han. Tesfa Wondemagegnehu serves as the conductor of the Viking Chorus and the Chapel Choir at St. Olaf College. He is also the guest artistic director of one of North America's Largest LGBTQ+ choirs, Minnesota's One Voice Mixed Chorus. Mr. Wondemagegnehu will lead the 2019 All-National Mixed Choir. Mr. Wondemagegnehu maintains an active voice studio and teaches Music & Social Justice with the goal of helping bridge the gap of social injustice through music, dialogue, and inspiring participants to take action in their communities. Mr. Wondemagegnehu has conducted and given masterclasses, workshops, and clinics both nationally and internationally. In 2017 he co-led the American Choral Directors Association's national high school honor choir, working collaboratively with Eric Whitacre. In June of 2017, he was named the composer-in-residence for Choirs of America at Carnegie Hall, where he had the opportunity to conduct and lift over 600 voices in singing the world premiere of his composition May the Road. Wondemagegnehu made his Severance Hall debut in 2017, co-conducting with Cleveland Orchestra Chorus Master Dr. Lisa Wong a choir comprising high school students from the Cleveland area, and in 2016 he worked with Los Angeles Master Chorale artistic director Grant Gershon, co-conducting their 1,000-student honor choir in the majestic Walt Disney Concert Hall. He holds a Master of Music degree in Choral Conducting and Vocal Performance from the Florida State University and a Bachelor of Music degree in Vocal Performing from the University of Memphis. Read more about Tesfa Wondemagegnehu. Todd Stoll will lead the 2019 All-National Jazz Ensemble. Mr. Stoll has taught young musicians at every level, from elementary school through college. His impact on public music education can be seen in his legacy at central Ohio's Westerville City Schools, where he served for 18 years as music teacher and for 10 years as music curriculum coordinator. He has also served as Ohio's president of the International Association of Jazz Educators and the inaugural chair of jazz events for the Ohio Music Education Association. In 2011, Mr. Stoll became the Vice President of Education at Jazz at Lincoln Center (JALC) in New York City, which continues to afford him the opportunity to bring jazz education programs to thousands of people of all ages and socioeconomic levels. Since he joined the organization, JALC has produced more than 10,000 education events in the United States and around the world. Mr. Stoll holds a Master of Music degree from the University of Cincinnati College-Conservatory of Music and a Bachelor of Music degree from Miami University. He currently serves on the boards of the Jazz Education Network where he is President; the New York City chapter of Most Valuable Kids; and the NAfME Music Education Policy Roundtable. Read more about Todd Stoll. Bill Swick, now in his twentieth year teaching public school, currently teaches guitar for the twelve-time GRAMMY award-winning Las Vegas Academy of the Arts and is the Guitar Task Force Chair for Clark County School District in Las Vegas, the nation's fifth largest public-school district. Mr. Swick will lead the 2019 All-National Guitar Ensemble. Mr. Swick holds a Bachelor of Music and a Masters in Music Education from the University of North Texas. He has been a on the guitar faculty at Drake University and University of Nevada-Las Vegas. Since its inception in 2001, the Las Vegas Academy Guitar Program was first in the nation to receive the coveted Gibson Education Award; the first to be featured in a guitar education promotional video created by Fender Music Instruments; received the Guitar Foundation of America Guitar Education Certification; received five DownBeat Magazine Awards; was the first high school guitar ensemble to perform at a National Association of Music Merchants (NAMM) national convention, and the first high school guitar ensemble to perform at a NAfME national convention; and was first to perform at a Guitar Foundation of America international convention. Learn more about Bill Swick. Scott Burstein, Director of Teaching and Learning at Little Kids Rock, will lead the inaugural All-National Modern Band this November 2019. Mr. Burstein taught music in the Los Angeles public school system for twelve years before joining the Little Kids Rock team as full-time Los Angeles County Regional Program Director in 2012. He completed his dissertation, "Transformation of Habitus and Social Trajectories: A study of a popular music program," and received his DMA from the Thornton School of Music at the University of Southern California. He received his B.A. in Music from University of California, Santa Barbara, studied and taught music theory at the doctoral level at the Eastman School of Music, and completed his single subject music teaching certificate from California State University, Northridge. While primarily a guitarist, Scott has played a variety of instruments as a performer in the fields of classical music, jazz, mariachi, and salsa music and has taught music theory, marching band, concert band, guitar, rock band, jazz band, mariachi ensemble, and keyboards. Read more about Scott Burstein. Read more about the NAfME 2019 All-National Honor Ensembles, guest conductor biographies, and how students may audition by visiting: nafme.org/ANHE and follow #ANHE2019. National Association for Music Education, among the world's largest arts education organizations, is the only association that addresses all aspects of music education. NAfME advocates at the local, state, and national levels; provides resources for teachers, parents, and administrators; hosts professional development events; and offers a variety of opportunities for students and teachers. The Association has supported music educators at all teaching levels for more than a century. With more than 60,000 members teaching millions of students nationwide, the organization is the national voice for music education in the United States. Jazz at Lincoln Center The mission of Jazz at Lincoln Center is to entertain, enrich and expand a global community for Jazz through performance, education and advocacy. We believe Jazz is a metaphor for Democracy. Because jazz is improvisational, it celebrates personal freedom and encourages individual expression. Because jazz is swinging, it dedicates that freedom to finding and maintaining common ground with others. Because jazz is rooted in the blues, it inspires us to face adversity with persistent optimism.